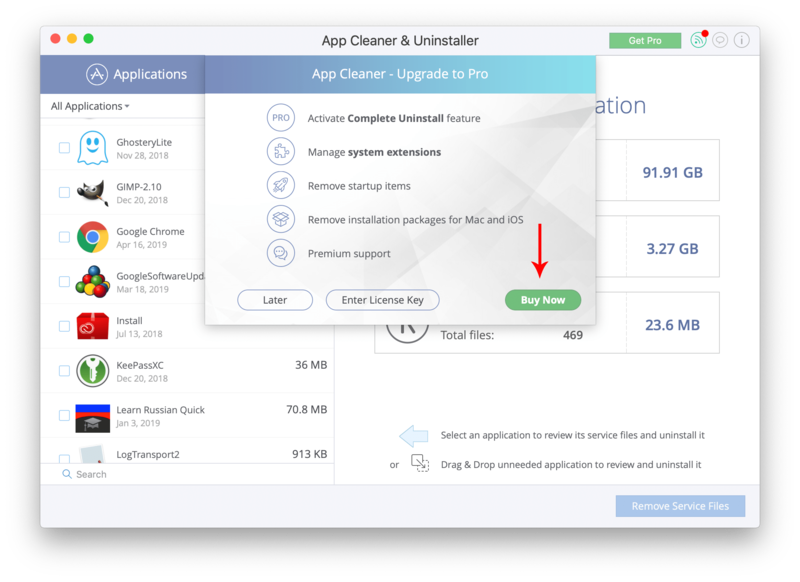 App Cleaner & Uninstaller allows you to completely remove programs on your Mac as well as clear the cache files, cookies and other service files of each application. You can download the app and use all the features of the app absolutely free for 3 days. After 3 days you will need to upgrade to be able to use the Pro version of the app. Remove installation packages for Mac and iOS. 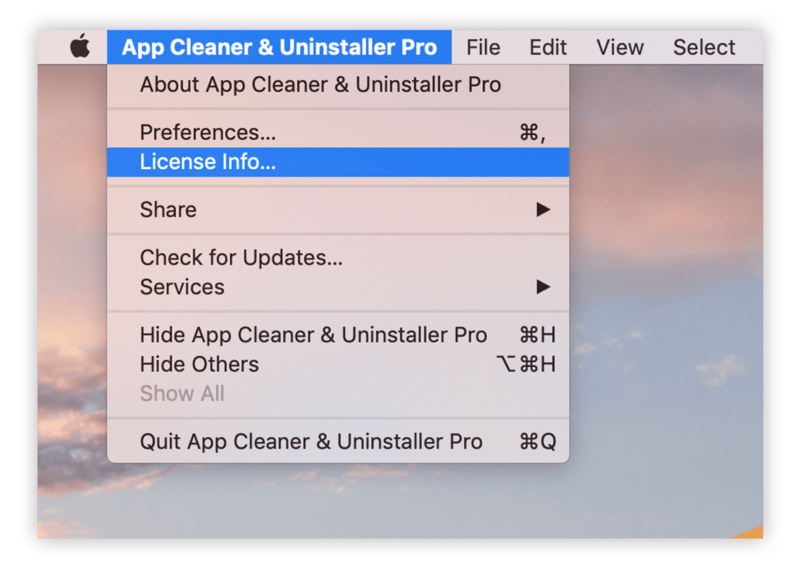 We recommend getting a license for App Cleaner & Uninstaller Pro in order to always keep your Mac clean from unneeded apps and files. Please note that the license is a one-time payment, which means that there is NO subscription or limited options in the app. With the license, you enjoy all the features of the app for a lifetime. Launch the application and click Get Pro – the green button in the top right-hand corner. You will see a pop-up window. Click Buy Now. Your browser will open the purchasing page for the app. Click the blue button with the price. Choose the payment method, fill the required fields and click Pay. Please make sure you entered the correct email address, as the license key will be sent there. Once the payment is completed, you will receive an email with the license key. If you don’t see it, please check the Spam folder. 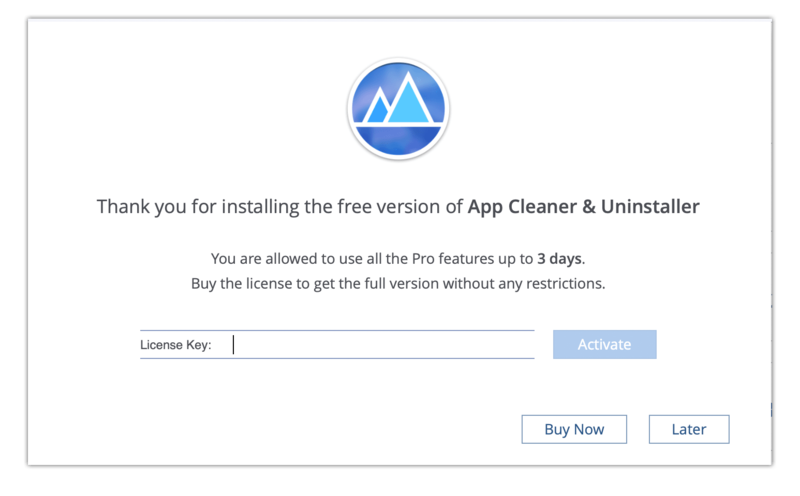 Then use this key to activate App Cleaner & Uninstaller Pro. 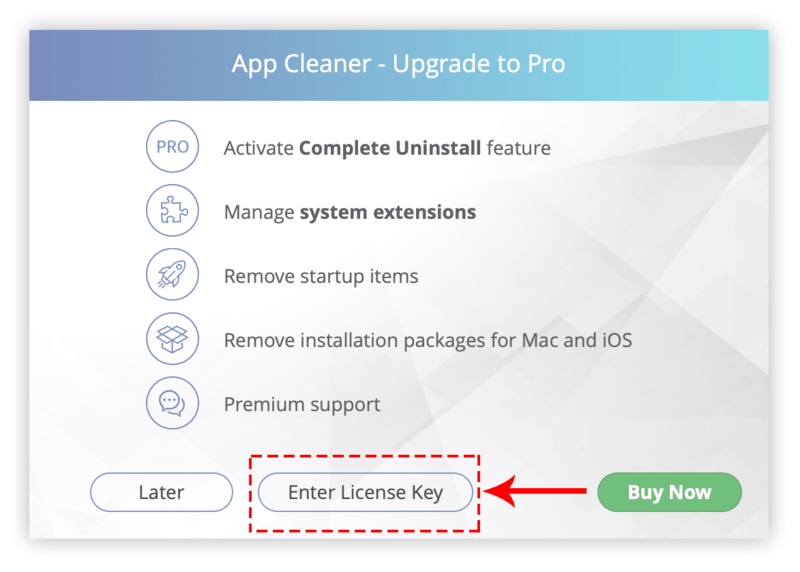 For this, run the app → in the Menu Bar click on App Cleaner & Uninstaller → select License info… Also, you can click again the green button Get Pro and select Activate License. Enter the provided license in the appropriate field and click Activate. Once you upgrade the uninstaller, the green button in the top right-hand corner disappears. 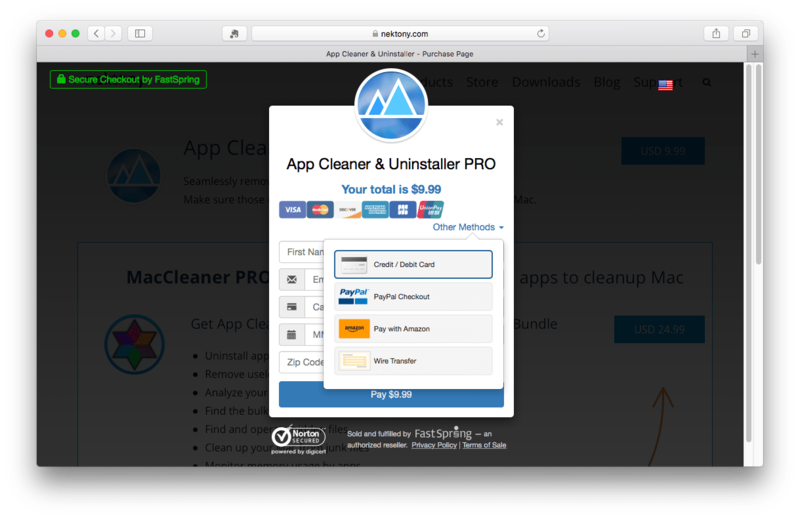 It means that now you now can freely use the Pro version of App Cleaner & Uninstaller.